Are you looking to connect with people in communications? This premium, verified list is full of those highly sought-after contacts. Find communications professionals and start connecting within minutes of purchasing this contact directory. Find the influencers working with media now! The ever-changing, evolving field of communications is full of quality contacts. 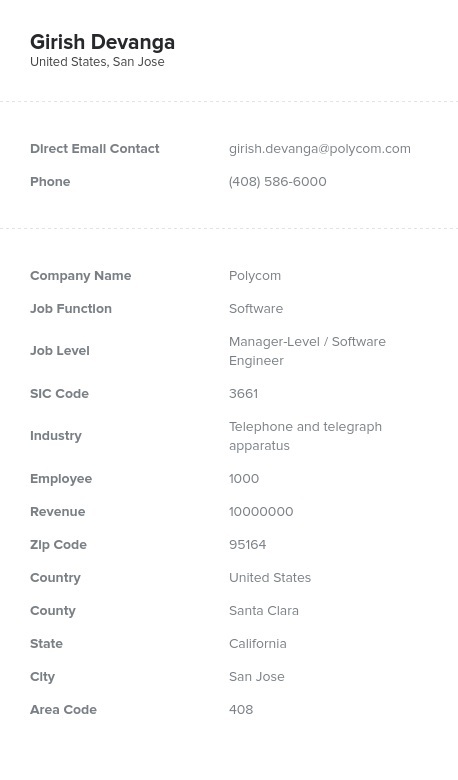 If you want to connect with the companies working with the media, why not pull this verified, accurate email list full of direct contacts? We have all of the tools you need to really start the conversation: emails, phone numbers, titles, postal addresses, names, and more. Connect with communications professionals easily after purchasing this list! The communications industry is competitive and constantly innovating, and sometimes, contacts can become outdated. Luckily, our contacts are updated daily. They're also accurate due to both manual and automated verification. Introduce your company to a vast array of professionals in the communications industry and present your product or service to the people who often are the gatekeepers to the public using our high-quality data. With this list, you may find relevant professionals from high-level executives to social media experts to graphic designers to editors. This is one of our many pre-built contact directories, which are available for you to buy and download right away. (You can also try our build-a-list function to create your own custom lead list.) Try this list today and start making a real impression on those working in communications!